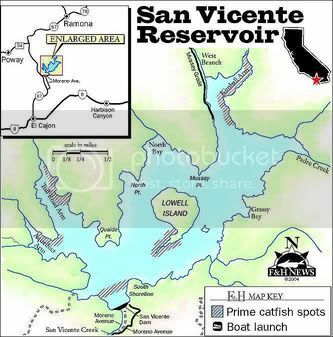 San Vicente Reservoir is a large body of water located in San Diego County. It is around 1000 acres and has 14 miles of shoreline. The reservoir is an excellent trophy catfish fishery and also has a good population of largemouth bass. 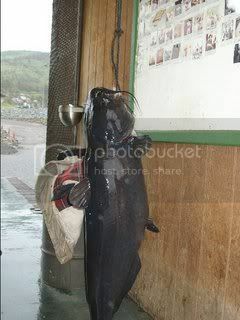 San Vicente holds the record for the largest blue catfish caught in the state at 101 pounds. Lake is stocked throughout the winter with rainbow trout and during the summer with channel catfish. Lake is open for fishing Thursday through Sunday during fishing season (Nov-Apr) and Wednesday and Thursday only during the Summer. Anglers also must have a California state fishing license.